Home Featured New Aftermarket Expert Boosts Schmitz Cargobull’s Service Partner Network. 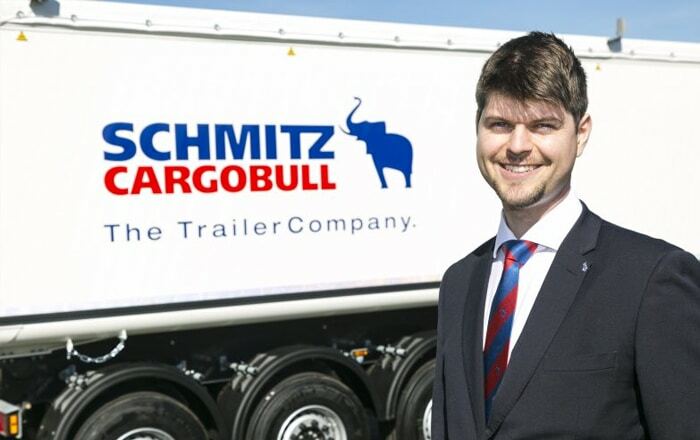 Schmitz Cargobull has appointed Chris Gisca as its new Aftermarket Development Manager (South), enabling the company’s Service Partner Network to expand its range of smart value-added services. Gisca’s focus will be on further developing approved workshops south of Schmitz Cargobull’s UK head office in Warrington, covering half of the company’s 60-strong national network. In particular, he will also help support Service Partners when installing Schmitz Cargobull’s TrailerConnect telematics system, which can be retrofitted to any brand of trailer and provides complete traceability of the unit, as well as proactively warning of maintenance requirements. He will also provide technical support in repair and maintenance contracts, parts performance and warranty purchases. The 30-year-old joins the company from Scania GB, where he was Business Development Manager for the south-west region. Prior to this, he worked for IVECO as District Sales Manager for the Midlands and south-west, providing sales and marketing support to its Daily light commercial vehicle range. Commenting on his new role, Gisca says: “Schmitz Cargobull’s Service Partner Network is full of highly skilled engineers, which allows us to go beyond general repair and maintenance, and into more specialist services such as smart fleet upgrades. Primarily based in Bristol, Gisca will report to Schmitz Cargobull UK and Ireland’s Head of Aftermarket, Steve Vincent.